offers an affordable trek to the gorillas with the Uganda gorilla permit going for $600, while the price to see gorillas in Rwanda is three times higher at $1500. Bwindi rainforest considered home to 400 gorillas, it the best place for gorilla tracking because there are 15 gorilla families that have been habituated for tourism. If you’re in Rwanda but want to save and track gorillas in Uganda, the best way to do it is to take a road trip early morning from Kigali to Bwindi southwestern Uganda. However, you will have to bear with starting your trip very early morning at around 04:00am so that you reach Bwindi by 07am the time to start gorilla tracking. The distance from Kigali by car to Bwindi is 3-4 hours drive. Once you have made it to Bwindi and seen the gorillas, you will drive back to Kigali at a relaxed pace. 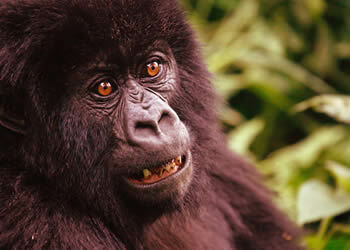 Gorilla tracking adventure, one of the most exciting wildlife encounters. Your drive guide will wake you up and meet at your place of stay. Prepare your packed lunch, drinking water and set off to Bwindi rainforest. After crossing the border, you will find yourself in Bwindi at the Rushaga tourist center; you will first register with Clark. Then join other tourists and meet guides who brief you on gorilla rules and tell you about the gorilla family you are likely to see. You are assured to see gorillas spend 1 hour with them for photos and return back to the center for your gorilla tracking certificate. Your guide will b welcome you back and drive to Kisoro town for hot lunch thereafter drive back to Kigali.